As a retail business owner, you are thrifty. We know you are. When you're setting up your shop displays though, they need to look like a million bucks. To help you save money while maintaining a polished presence, we rounded up a whole mess of inexpensive DIY inspiration to help you amp up your merchandising window displays, tables, shelving, seating and even your checkout counters. 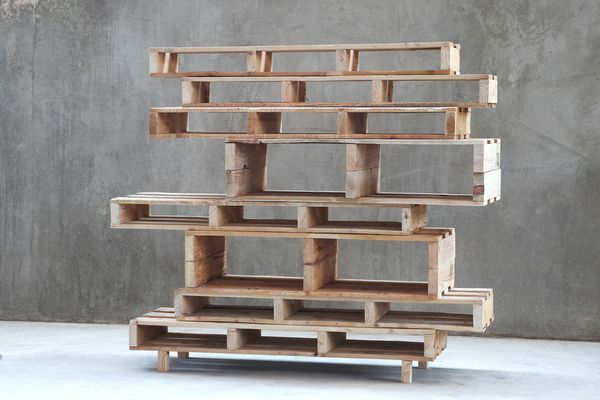 Whether you're going for the upscale industrial warehouse look or the sweet shabby chic vibe, your customers will be floored by what you can create with reclaimed wooden pallets. Roll up your sleeves—let's do this. 1. Pallet Letters: So cool! 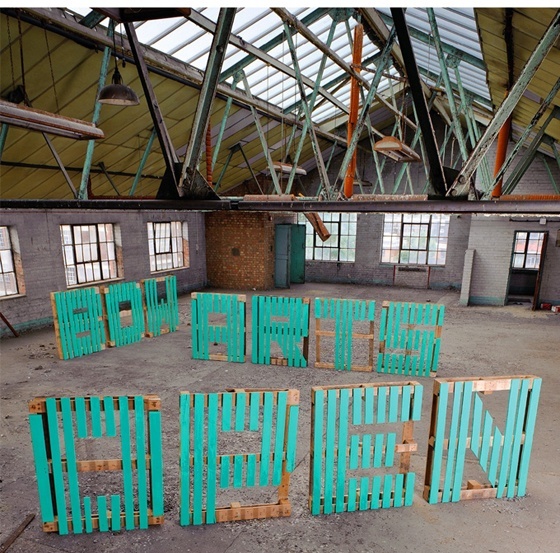 These would be great for pop-up selling, hanging on the wall or even for your main signage. 2. 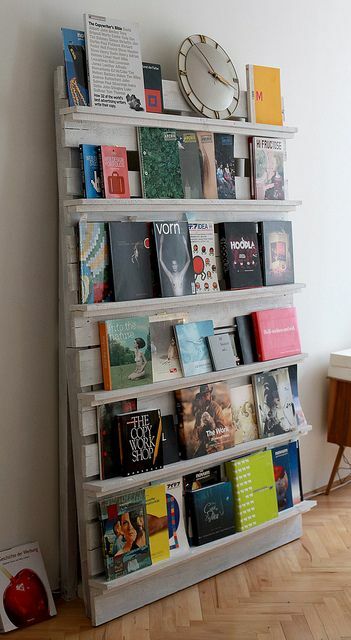 Leaning Pallet Bookshelf: This simple shelf is perfect for displaying books, magazines, greeting cards and artwork. 3. Steel Pipe Garment Rack: These minimalist industrial garment racks definitely need wheels so you can try different shop layouts when you get bored. 4. 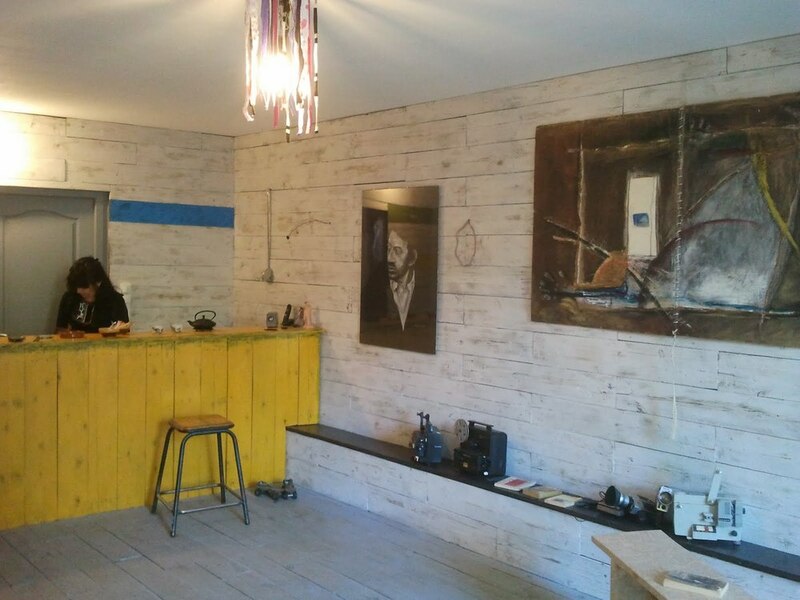 Pallet Boutique Overhaul: This French blogger used reclaimed pallets to create the rustic whitewashed wooden walls, built-in shelving and the register counter at this shop! The result? Beautiful. 5. 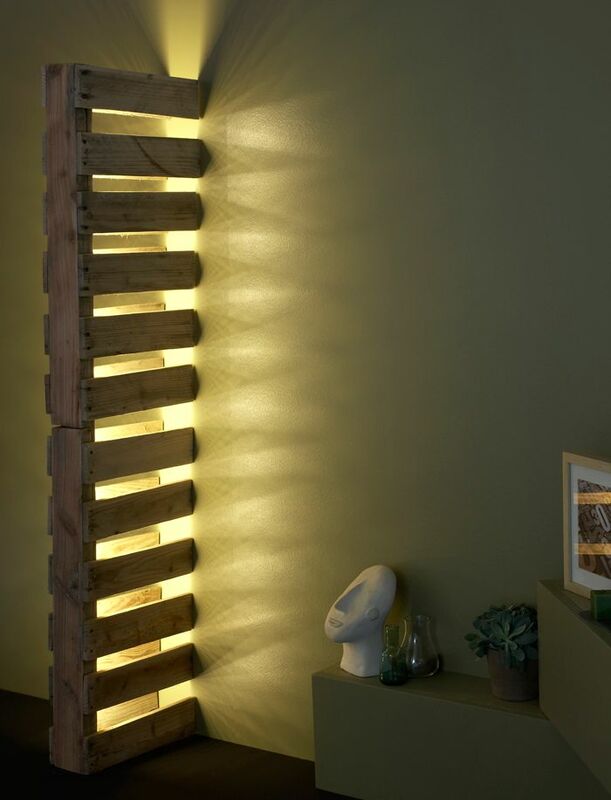 Pallet Light Installation: An easy accent piece that will add a lot of character to your boutique, this lighting display is a focal point. 6. 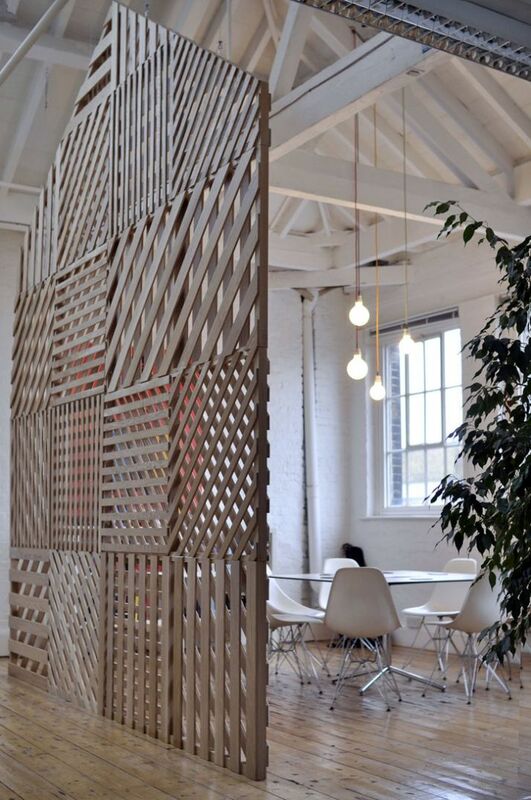 Pallet Dividing Wall: Use this to separate different sections of your store, or simply for a creative statement piece that can be done in any shape you can imagine. 7. Pallet Wall Display: Inspired by Anthropologie, this display would be amazing for hanging towels, throw blankets, or even jewelry with a few hooks added. 8. 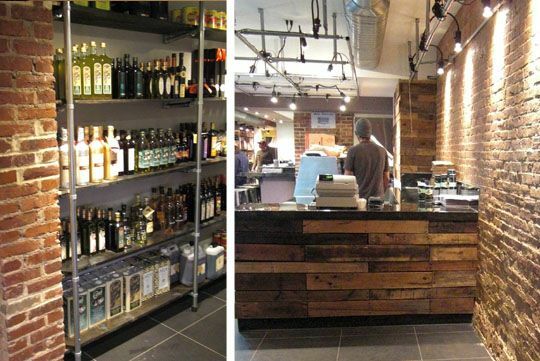 Pallet Counter: We are loving this brick and wood design, that's complete with a repurposed pallet counter. 9. 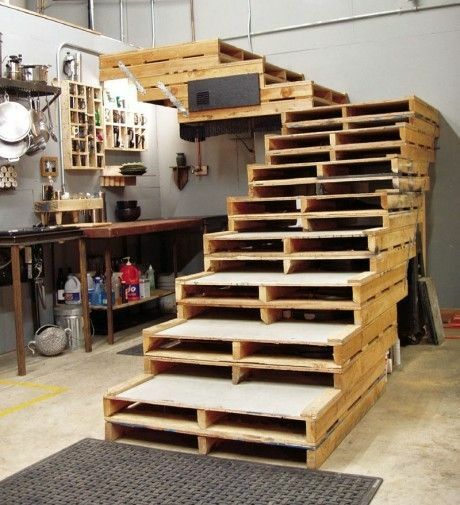 Pallet Stairs: Going up! 10. 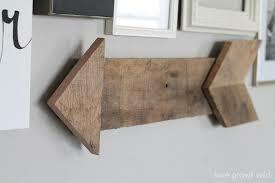 Pallet Wooden Arrow: Is your store's location hard to find? Point this sucker right to your front entrance. 11. 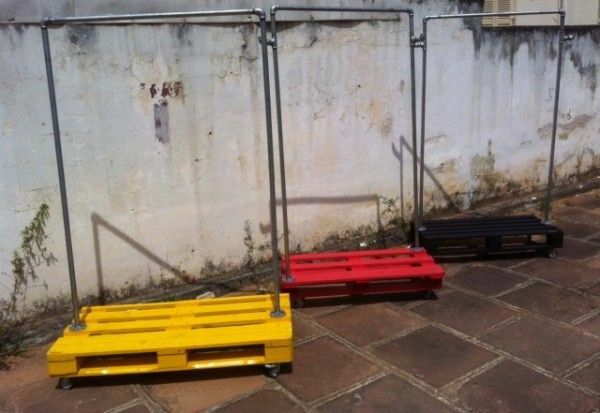 Pallet Shelving: It looks like a break-the-bank designer shelf, but it's actually made from recycled shipping pallets and a bit of elbow grease. 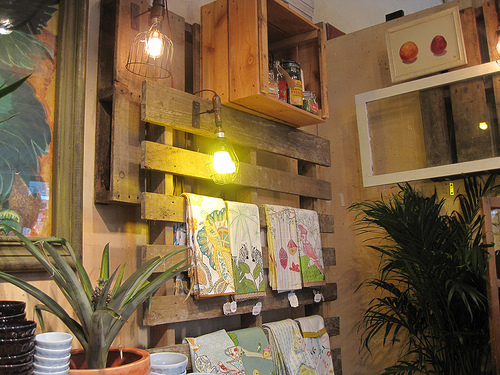 Any other bright ideas to give your shop an inexpensive makeover with pallets? Let us know in the comments! Newer PostWhich Crowdfunding Site Is Right For You?